The colorful marbles in this aged tin star lamp create a beautiful multi colored glow in any room in your home. 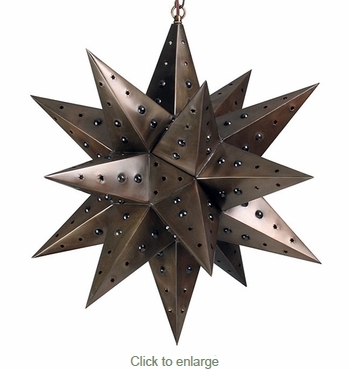 This hanging Moravian style star light was carefully hand crafted and punched by artisans in Mexico. This star light chandelier will enchant all who enter your rustic, Spanish colonial, or Santa Fe style home.